Items like arc4 and 40h can only be pre-ordered. They are produced irregularly and in small quantities in collaboration with domestic, high-quality, and responsible providers and production facilities around Philadelphia, US. 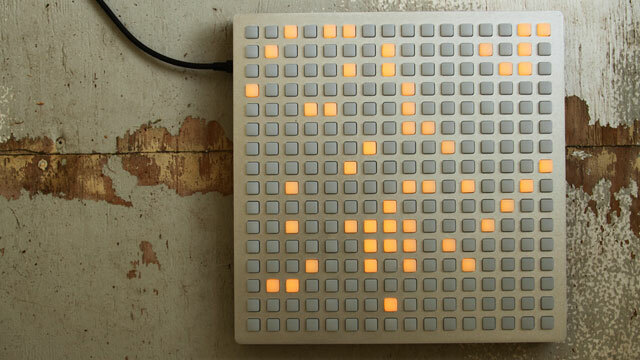 Monome’s devices are minimalistically designed back-lit user interfaces with knobs or grids of push-buttons. No labels are present which would preconceive a fixed functionality. 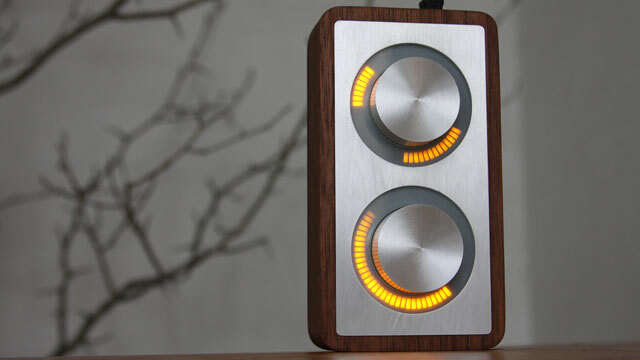 Instead the user can freely program the function of each button and light using software communicating with the device over the Open Sound Control protocol or serial (RS232) connection. 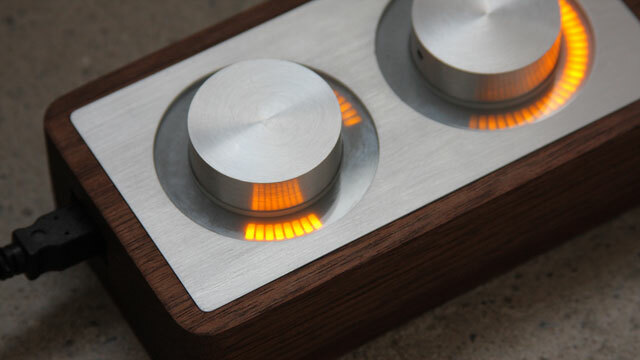 Monome devices feature custom-built high-quality electronics and come in a box entirely made of wood and aluminium. With little electronics skills devices can be easily extended with additional inputs. Monomes do not generate any artistic ouput themselfes, they are meant to be used as input for sound or image generation software and as such always require a computer to be attached to. Extensive documentation is available online and a large enthusiastic user community exists.